A good friend of mine was just accepted to a masters’ in education program – she’s going to be a high school english teacher! I am completely in awe of teachers and how hard they work to educate the minds of our future. I’ve written about how my teachers in high school greatly shaped the person I want to be and I honestly don’t know if I’d be here, writing about my journey, if it weren’t for them. Being the creative baddie she is, she’s started an etsy shop to help fund her education and I’d love it if you check out her store: DIY Muslimah. 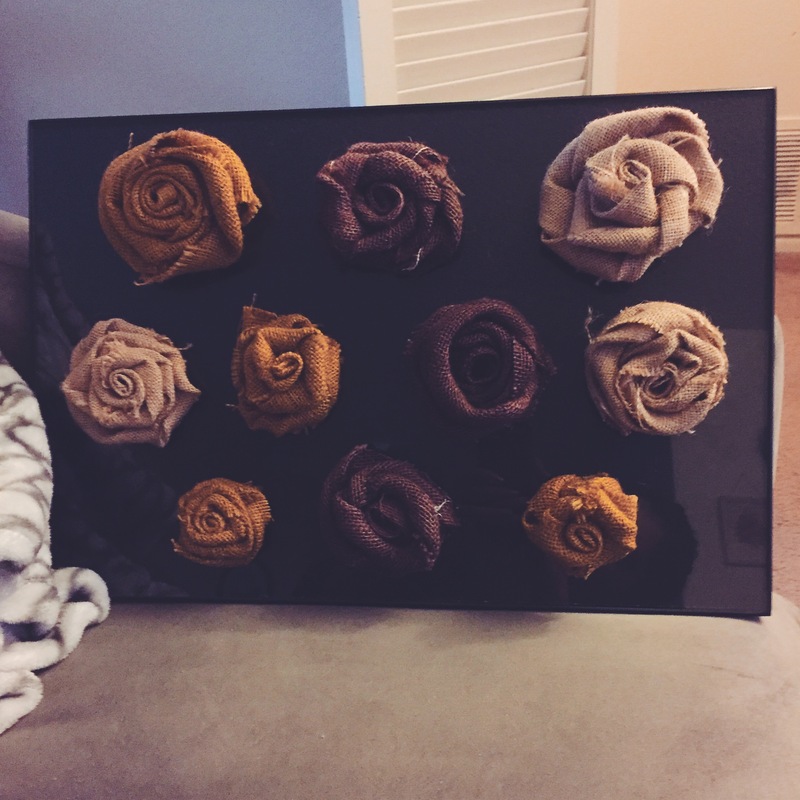 I purchased the burlap roses pictured below – I’m still figuring out exactly how I want to display them but this is one option. Let me know if you have any suggestions! She also threw in this cat lap pillow as a gift to Kohl, our 7 month old kitten, and he looooooves it. He’s currently taking a nap on it next to me while I type this. 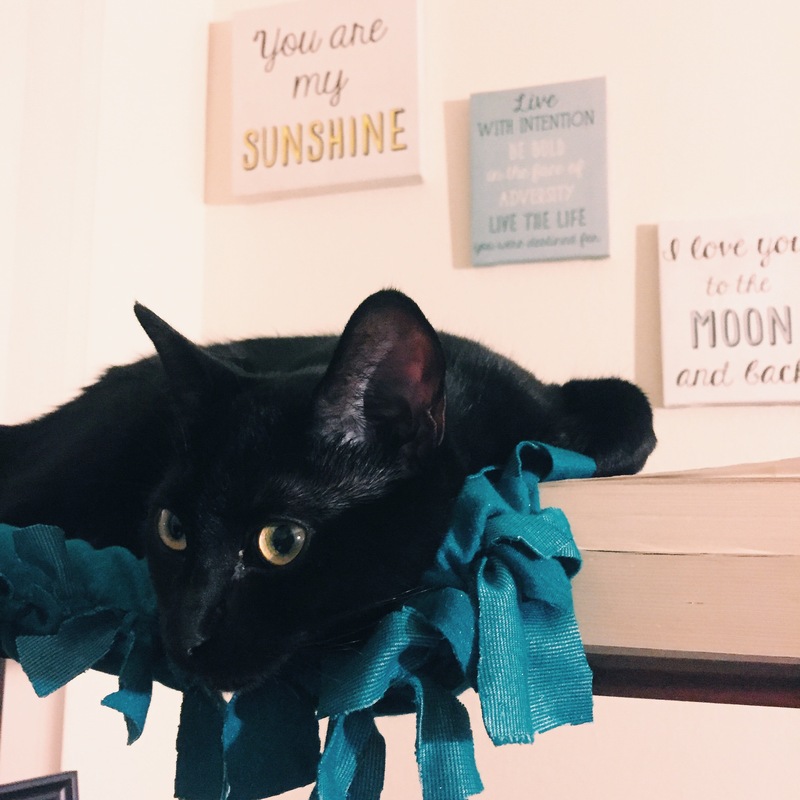 It’s easy to move around so I put it on my desk while I’m studying so he can sit on the top shelf (his favorite spot) and either nap or stare out the window (his favorite thing to do). When we’re watching TV, I just move it to the couch and he either sits in his own little spot or sits on our lap with it. Everything came packaged really well and she even included an adorable personalized note with instructions on how to take clean the pillow (just stick it in the dryer – so simple!). My favorite thing about her shop is that she upcycles and everything is essentially hand made. I love knowing how socially and environmentally conscious my friends are – while still being incredibly creative! So if you’re looking for something for your kitten or just want something unique to add to your home decor – while supporting a student get her education so she can educate others! – check out DIY Muslimah. If you follow me on Instagram, you already know this but we recently adopted a kitten! I thought I would share a bit about how we got him and how it’s been as a first time pet owner. We adopted Kohl from a local rescue group about three weeks ago and he’s quickly moved his way into our hearts. He’s currently roaming around the room as I type this, playing hide and seek with himself, and I can’t imagine our home without him. While we were doing research, we saw that black animals (both cats and dogs) had lower adoption rates due to superstitions and stigma associated with them, which completely broke our hearts. How ridiculous is it that humans are even racist against certain animals!? Frames – Check out stores like Ross, Marshall’s and TJ Maxx to find cheaper photo frames. I personally haven’t gotten a chance to do this but also check out your local dollar store! If I see something I like, I usually just pick it up and worry about what I’m going to actually put in it afterwards. Gifts – As you’ll see when I describe each photo below, a good number of things we have around our apartment were actually wedding gifts from friends. While we didn’t request anything like that, I think people just thought to give us gifts like this because they knew we were starting a new home together. If you have a birthday, graduation, etc coming up and someone asks what you’d like, you can ask them to give you a gift for your home that they think describes your personality. It’s so nice to have things around our house from people who mean so much to us. Souvenirs – In the past year or so, hubby and I have been lucky enough to travel to a couple places around the country. We have a mug collection so we buy a mug from every city we’ve visited together. But I also really like buying ‘functional’ souvenirs for our home. You’ll see a calendar below that we picked up at the Chihuly Garden and Glass. Thrift/Antique Shops – I’m a big believer in supporting small and local businesses so these shops are one of my favorites. I’ve picked up a few of the pieces around our home from a local antique shop. As an amateur photographer, I really enjoy taking photos during our travels. I mostly photograph architecture but occasionally I get really great photos of hubby (left). I love printing these photos and putting them in various frames I’ve picked up while shopping. This is probably my favorite wall in our apartment. When studying gets to be too much (and feels like it’ll never end) I love having this reminder of all the fun places we’ve been to and that we’ll continue to do so. I still have to pick up a couple more frames to add shots from our trip to Northern California last week. The letters were used at my bridal shower and I painted the two letters a couple months ago (same paint that I used for the cork boards in a previous post!). 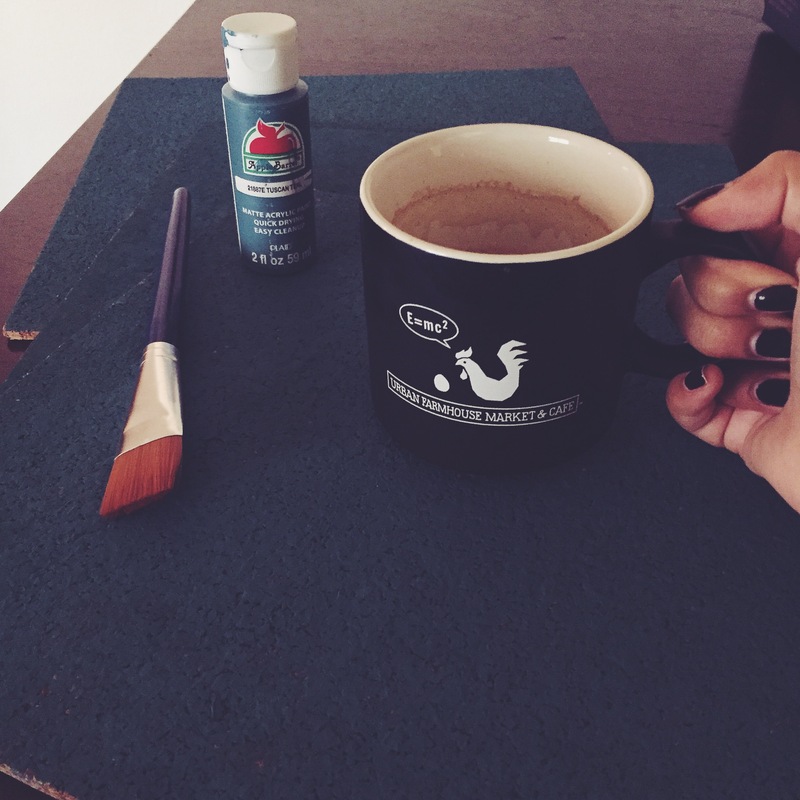 I’ve recently been more interested in DIY projects to make our home homier. We’ve been in this apartment for just over a year but I’m still constantly moving things around/adding things. I’ll be doing a post soon on home decor with photos of where we’re at now and tips on how to work on your home while on a budget. Doing arts/crafts is such a great study break and I love envisioning projects and seeing how they turn out. It’s definitely nice to use the right side of my brain every so often because it’s pretty neglected and as our learning coach once said to me ‘you need an outlet for your creative side’ so here we are! In college, I had cork boards above my bed with photos, concert tickets, movie stubs, event flyers, etc. but doing that in my ‘grown up’ apartment just felt a little immature so I wanted to do something to class it up. I had this matte teal acrylic paint leftover from a previous project and the cork boards from my college apartment so of course I started painting them during study breaks while I watched TV. Most of the furniture in our apartment is a dark chocolaty brown and I love how the teal looks against it. 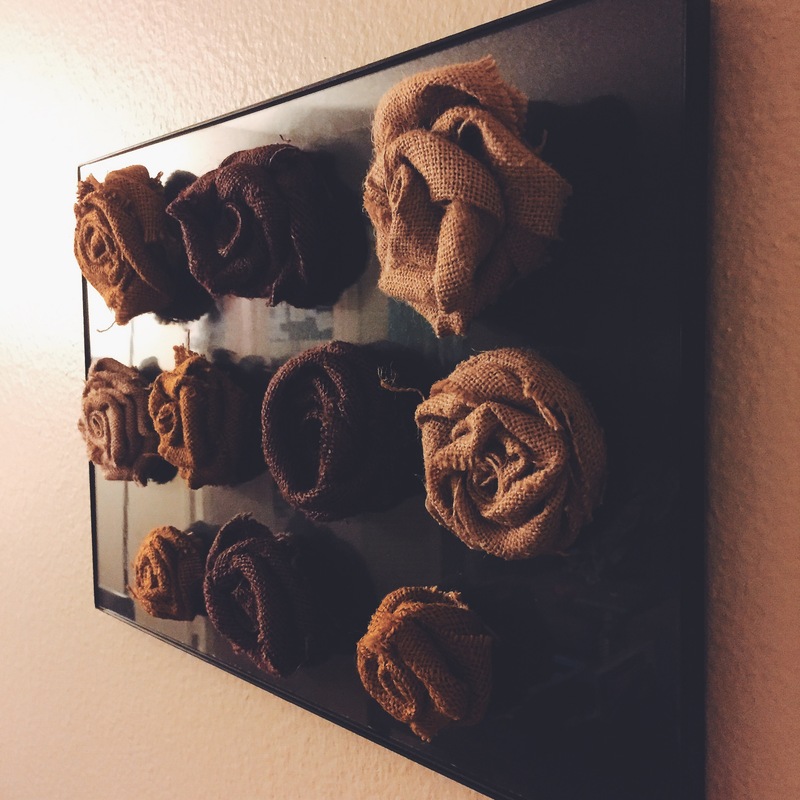 It compliments the brown really well and also makes the apartment brighter with a pop of color. One of my favorite ways to de-stress is trying new dishes but sometimes when my schedule is ridiculous (or I’m just feeling lazy…) I just want to whip up something easy that’ll last a couple meals. My go-to meals for this are baked pasta with either chicken or shrimp or a ground chicken dish. I usually try to do at least a bit of cooking on Sunday nights to avoid the stress of it during the week but this weekend kind of slipped away somehow so I ended up cooking this simple baked pasta chicken pasta dish on Monday. I really don’t like using recipes when I cook because it kind of takes all the fun out of it. Most of the meals I make have onions, mushrooms and spinach as a base and then I just add some meat and seasoning. I was writing down what I used to send to my mom so I thought I’d post it here too. Ramadan is coming to a close and that means it’s time to prepare for Eid celebrations! When we were younger, my friends and I used to give each other gifts but that tradition kind of phased out as we got older. Now I’m in this in between land of being a kid and an ‘adult,’ which means that some family members now expect gifts from me and my husband. They’re, of course, mostly joking but I still wanted to do something nice for the family without breaking our budget. Eid is a very food-centered holiday (yes, we do realize the irony of that after a month of fasting…) so I decided to bake something sweet. Hubby and I have been trying to modify our recipes to make them a bit healthier so I thought I’d try chocolate chip oatmeal cookies. We already had most of the ingredients at home so I just did a quick grocery run to get walnuts, oats and some things for the nachos I’m making for dinner tonight.